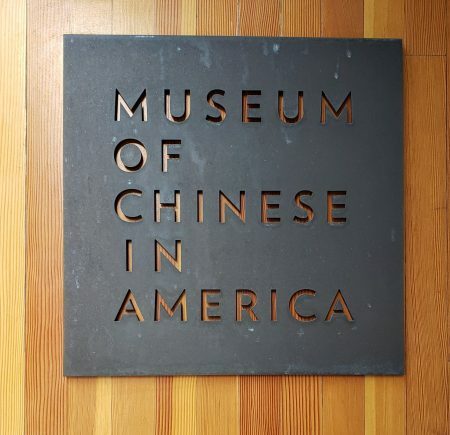 Ricepaper‘s JF Garrard recently took a trip to New York City and visited the wonderful Museum of Chinese in America (MOCA), which is dedicated to preserving and presenting the history, heritage, culture and diverse experiences of Chinese Americans. 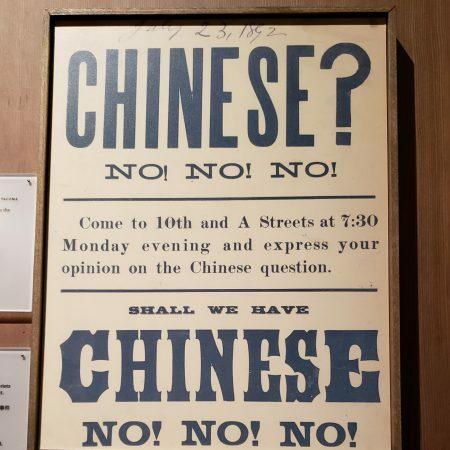 MOCA began in 1980 as a New York Chinatown History Project put together by scholar John Kuo Wei Tchen and community activist Charles Lai to promote the knowledge and understanding of the history and contributions of Chinese Americans. 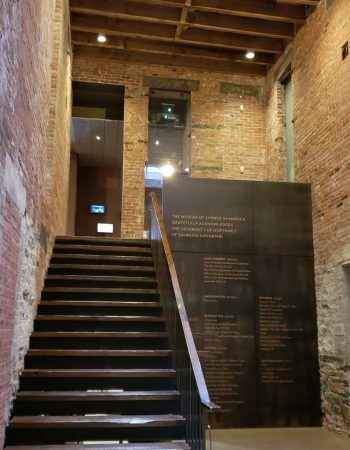 Today, it has grown into a museum and social centre located on the border of Chinatown and SoHo in New York City, set in a home designed by award winning artist and architect Maya Lin. The site has been cited in Architectural Digest numerous times and is noted as one of Lin’s best designs. During the visit, Edward Cheng, Director of Communications and Development, gave Ricepaper a personal tour of MOCA. When visitors enter the Museum, they are greeted with the Journey Wall: a custom art installation created for the main lobby, which is composed of bronze tiles through which Chinese Americans can honour and remember their family roots. Each tile is inscribed with the individual’s or family’s name and place of origin with their home in America. Edward emphasized that this is a living wall, as the individuals and families who have contributed are all very much alive and well. The core of MOCA is its permanent exhibit, “With a Single Step: Stories in the Making of America,” which traces more than 160 years of milestones in Chinese American history from the earliest Chinese immigration to the struggle for citizenship to the development of their contemporary identity. 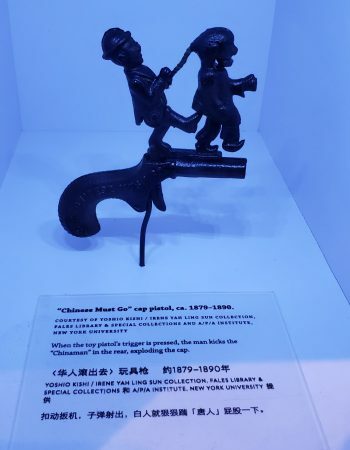 It is no surprise that there were a variety of anti-Chinese propaganda; however, the most shocking item was perhaps the “Chinese Must Go” toy pistol in which a man kicks a “Chinaman” whenever the trigger is pulled. In the early and late 1900s, cinema posters and magic shows displayed fascination with the exotic nature of the orient. One magician, American-born William Ellsworth Robinson, even pulled a “yellowface” and pretended to be Chinese for his magic career as Chung Ling Soo, which no doubt was inspired by Chinese magician Ching Ling Foo. Regardless, there has been positive progression in modern days as Chinese Americans are integrated into society and some of the latest achievements are displayed on some of the walls, ranging from Vera Wang (fashion designer) to Steven Chen (founder of YouTube). Cheng pointed out that the permanent exhibit revolves around the Museum’s historic sky-lit courtyard, which architect Maya Lin left deliberately raw and untouched as a reminder of the past and to evoke a classic Chinese courthouse. In addition, when visitors leave the exhibit, they pass through a mirrored wall, in which one can reflect on how history has impacted their lives. 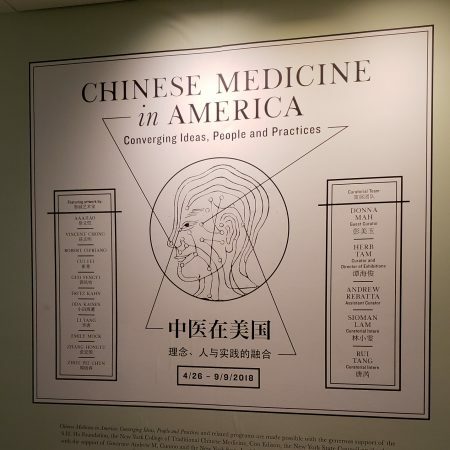 With special exhibitions on rotation twice per calendar year, the featured exhibit at the time of our visit was “Chinese Medicine in America,” as a representation of this medical practice and its evolution through inspired works of art, standard tools for treatment, modern computer displays of acupuncture points and lectures by practicing doctors. All of the permanent and special exhibits are on the first floor, while the lower level features a wonderful children’s area with family programming, which includes drop-in arts and crafts, teaching artists demonstrations, performances and more. The final stop of any museum is its gift shop, and Joseph “Seph” Duong, the Director of Programs and Guest Experience, told us about the most unique feature of the shop, which is a large collection of literature written by Asian Americans. 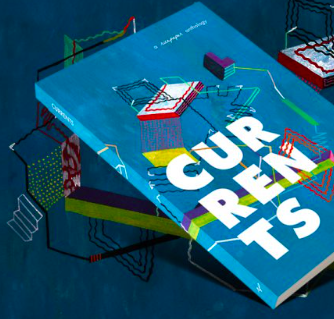 From NYT bestsellers to children books, this store has something for every reader! 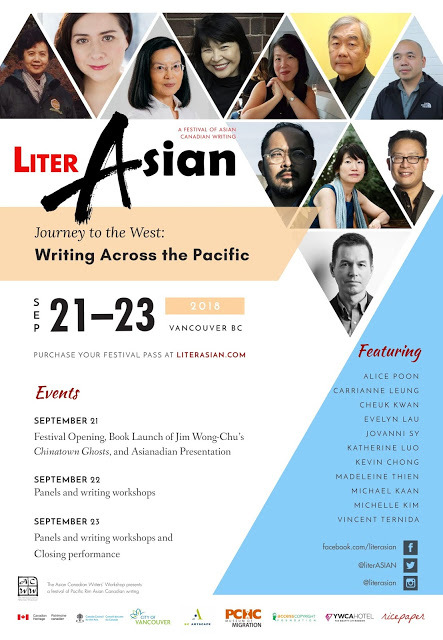 For any visitor to New York interested in learning about the history of Asians in America, this is one stop you would not want to miss!